A facial re-creation of an unidentified young man found dead from natural causes in a van parked at an Interstate 26 rest area in 2006. | Crime Stoppers of the Lowcountry: 554-1111 | 1-888-CRIME-SC | Anonymous tips earn cash rewards with Crime Stoppers of the Lowcountry. 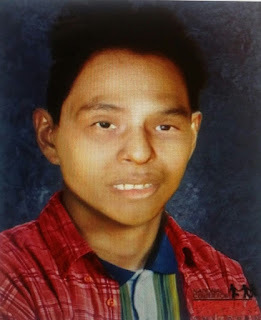 Home | News | A facial re-creation of an unidentified young man found dead from natural causes in a van parked at an Interstate 26 rest area in 2006. A facial re-creation of an unidentified young man found dead from natural causes in a van parked at an Interstate 26 rest area in 2006. The identity of a young man found dead and abandoned in a van at an interstate rest stop has eluded investigators for the past 10 years. Now they hope a computer-enhanced picture will help solve this puzzle. On Jan. 14, 2006, authorities found the man’s body in the back of a van left parked at a rest area along eastbound Interstate 26, just inside the Charleston County line, Coroner Rae Wooten said. The man was Hispanic and appeared to be in his late teens or early 20s. He had no identification and nothing in his pockets but a few Mexican pesos and a tiny religious statue, Wooten said. The van had no license plates, and extensive attempts to track down the vehicle’s owner proved fruitless, she said. “Every lead came to a dead end,” she said. An autopsy determined the man had died of natural causes, Wooten said. Investigators suspect he might have been in the country illegally, and that the people he was with panicked and fled when he died, leaving his body behind, she said. He matched no missing-persons reports and no one has come forward over the years to offer a name. Investigators hope that will change with the publication of a new image produced by the National Center for Missing and Exploited Children. Working with a morgue photo and images of the clothes he was wearing, forensic artists produced a recreation of what he likely looked like in life, Wooten said. Those with information on the man’s identity can call the coroner’s office at 843-746-4030.